Get Recruited while Getting Educated. 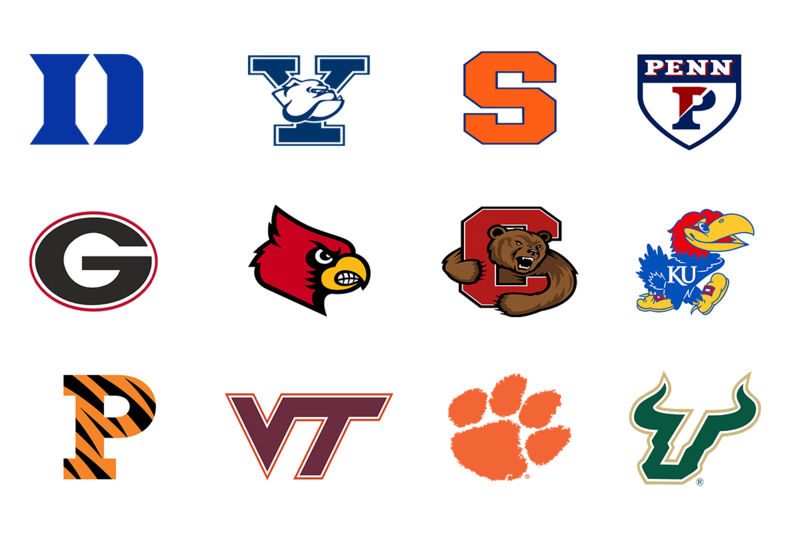 Future 500 Soccer ID Camps – 75 top colleges from a carefully selected mix of D1, D2 and D3 schools, watching you play. This mix and quantity of college coaches will help players of all levels be exposed and identified by coaches, giving you a massive boost in your college journey. Add to this: outstanding staff, a great soccer environment, top soccer training & educational sessions. Experience the top rated Soccer ID Camp in America. Read below to find out about Future 500’s 5 steps to maximum exposure. FINAL EARLY BIRD SALE OF 2019. Save $80 with promo code FINALEARLYBIRD. ARE YOU HEARING FROM COLLEGE COACHES? Tap into the vast network of college coaches attending Future 500 ID Soccer Camps. The Future 500 network of prestigious academic universities and top soccer colleges provide an outstanding platform for talented players to be identified at each of our summer soccer camps, both boys and girls. WHY FUTURE 500 SOCCER ID CAMPS? It’s simple. We are the best boys and girls soccer camps in the USA! 75+ TOP colleges and universities. Learn more about what makes our Summer Soccer Camps the best in the country by clicking on the links below. Future 500 ID Camps feature 75 + Top Academic Colleges and Nationally-Recognized Soccer Programs providing both the largest and highest-quality collection of NCAA Division 1, 2, and 3 coaches of any soccer camps in the United States. Players play on first-rate fields and are coached by a different NCAA Division 1, 2, or 3 coach in every match and training session, ensuring maximum exposure and training opportunities. Future 500 ID Summer Soccer Camps, powered by Adidas, provide an unparalleled soccer recruiting opportunity, with over 75 top NCAA Division 1, 2 and 3 universities in attendance. 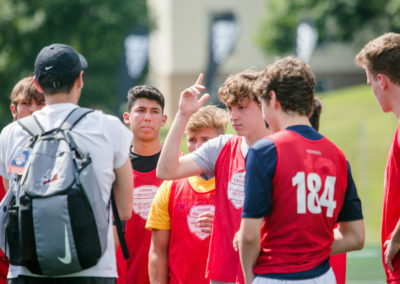 Future 500 Soccer ID Camp’s innovative blend of on-field matches and off-field educational seminars provide an exceptional opportunity to Get Recruited while Getting Educated. Be a part of the top-rated College Soccer ID Camps in the USA.